Ready to get your tech on? 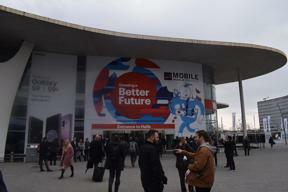 Mobile World Congress comes to Barcelona every year to inspire and promote the technology industry with the latest and greatest inventions! Browse through hundreds of central Barcelona MWC apartments and hotels here! Has searching for the perfect apartment or hotel for Alimentaria 2020 made you work up an appetite? Search through hundreds of central apartments and hotels in Barcelona, or let our team do the search for you! Bon profit!